Happy National Zin Day! True wine lovers actively seek any occasion to break out a special bottle and today the Zinfandel Advocates and Producers have created a holiday. Zin is a versatile food pairing wine and there are endless options. Humongous hunks of meat are a great place to start: ribs, brisket, skirt steak, or lamb. Big Zins and Italian dishes featuring tomato sauce are always delectable whether its lasagna or Grandma’s special spaghetti sauce. The Italian varietal Primitivo and Zinfandel are both clones of a Croatian grape called Crljenak. So Imagery’s winemaker, Joe Benziger, will be celebrating the Holiday with Primitivo and pizzas fresh from the winery’s stone oven. 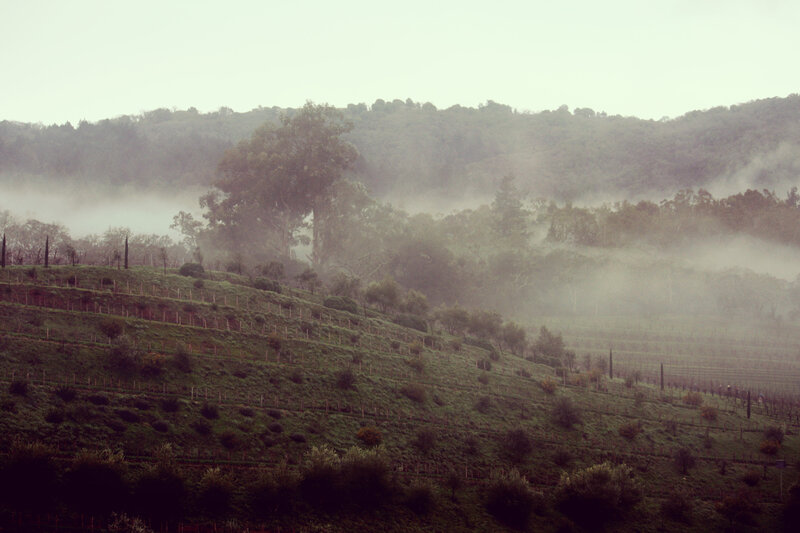 Our Zinfandel blend was named one of America’s Best Organic Wines and has a fun origin story. Joaquin’s Inferno is a Demeter-certified Biodynamic blend that uses the blueprint of Zinfandel, Grenache, and Petite Sirah. All three blocks are picked on the same day and are blended together in the fermenter. This is called cofermentation and is the best way to create synergism between the varietals. The wine is named after Joaquin Corona who has been our vineyard foreman for over 30 years. Mike Benziger claims that “Joaquin just doesn’t look at grapes…he looks into grapes”. 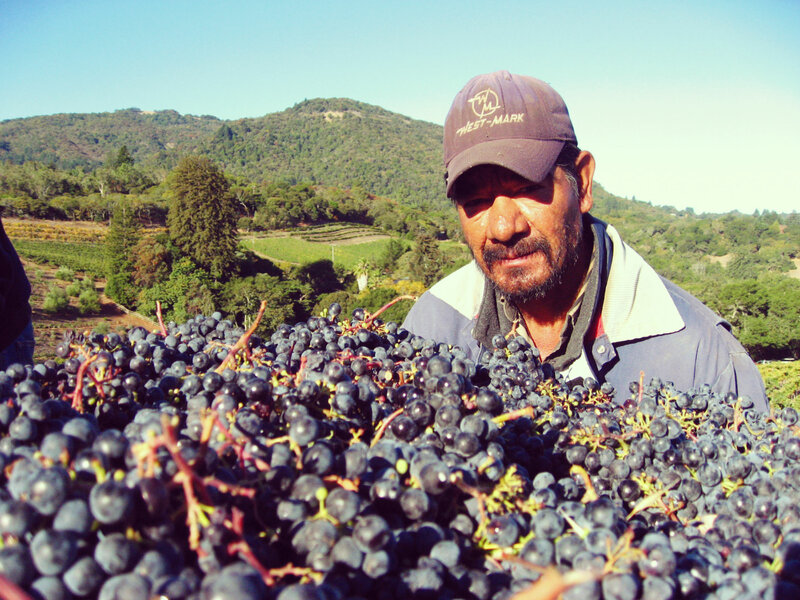 Joaquin tends the steep and overly crowded vines which sit high atop the hard to farm Sonoma Mountain vineyard block. Because of the difficult positioning of these blocks, Joaquin has always referred to them as his Inferno or “Hell”. The name stuck and this Zin blend is a fan favorite. Zinfandel now makes up 10 percent of the California wine harvest. But this was not always the case. Sweet White Zin was extremely popular in the 1970s and saved many of the vines that are used today for traditional red Zin. Wine Spectator declared that Sutter Home’s White Zinfandel “introduced more Americans to wine on the table than anyone in history”. Of all the things that did not survive the Disco Era—The Hustle, hot pants, and sequin shirts—we are certainly glad Zinfandel did! Tagged #zinday, Benziger Family Winery, best organic wine, biodynamic, joaquin, joaquin inferno, Organic, organic wine, primitivo, Sonoma, Sustainable, vineyards, wine, wine country, winery, zap, zin, zin day, Zinfandel Advocates and ProducersBookmark the permalink.